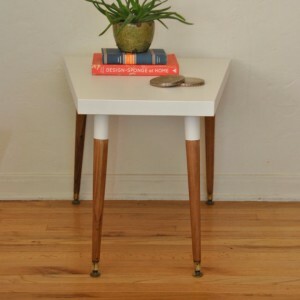 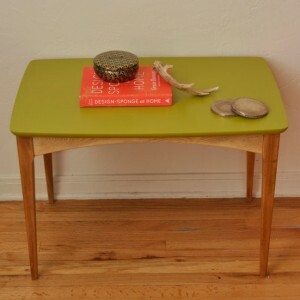 Lovely mid century side table, featuring natural wood legs and freshly primed and painted top in an avacado green. 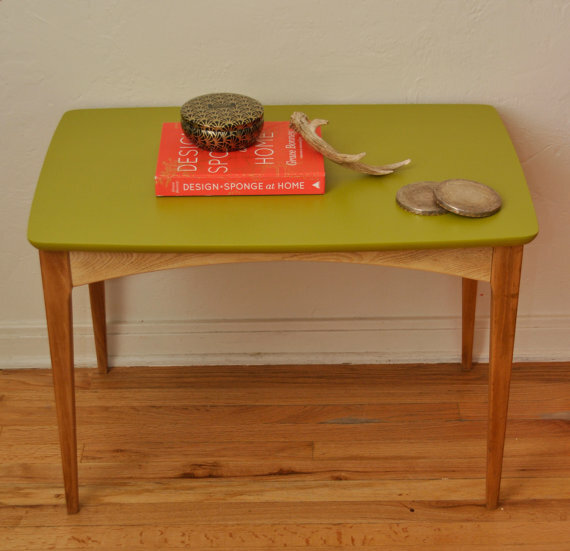 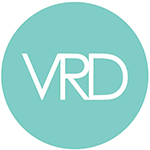 Ideal for a modern home in need of a little pop of color or vintage style. 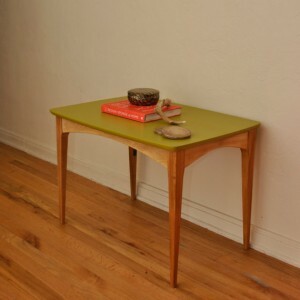 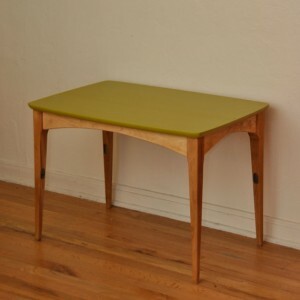 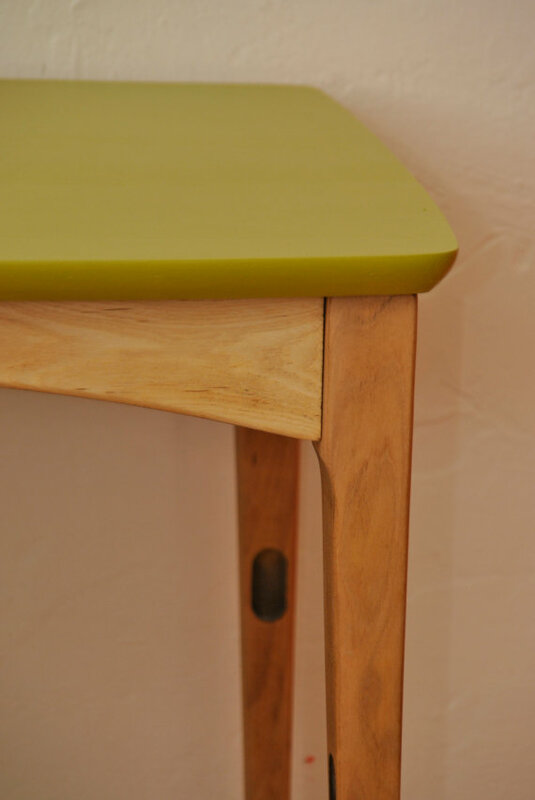 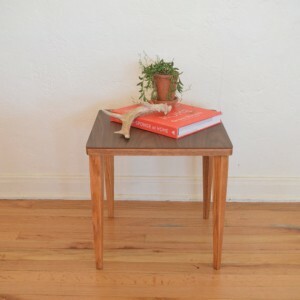 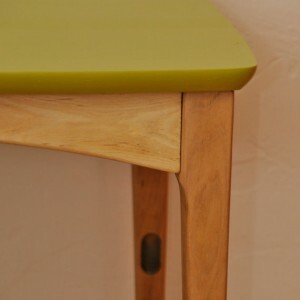 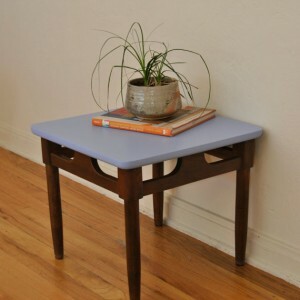 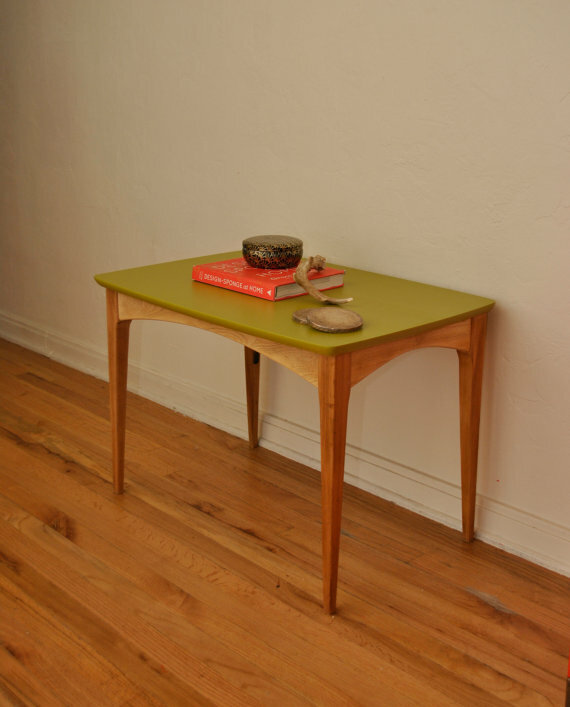 Be the first to review “Mid Century Side Table/End Surfboard Style Table – Green” Click here to cancel reply.